Karameller Candy Shop is now open at 30-1020 Mainland Street in Yaletown. This Swedish candy shop will offer over 100 varieties of candy, each imported from Sweden, free from GMOs, trans fats, and high-fructose corn syrup. Karameller, translated from Swedish, means ‘hard candy’ in its various shapes and forms. The concept of Karameller was created from a childhood memory. As a tradition, Swedish children would receive a weekly allowance. Most often, this windfall would be spent on ‘lördagsgodis’, meaning ‘Saturday sweets’. Setting out on a bike with the neighbourhood kids, owner Louise would excitedly arrive at the shop, filling her paper bag with sweets. While the others would savour each one, Louise would quickly eat it all. It would only make sense for her to bring this nostalgic memory to Vancouver. 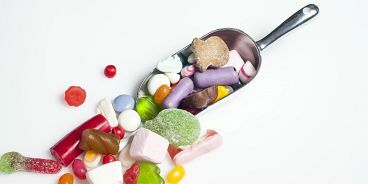 The pick-and-mix candy is priced at $3.49/100g and is also sold by the jar – making it perfect for gifting – in five varieties: The Sweet, The Sour, The Hard Candy, The Mix and The Salty. Referencing traditional and modern Scandinavian concept and design elements, Karameller’s branding is designed by Glasfurd & Walker with interior design by Leckie Studio. The shop will be open Monday to Friday: 11am – 8pm and weekends and holidays: 11am – 6pm. Karameller was created from a childhood memory. As a tradition, Swedish children would receive a weekly allowance. Most often, this windfall would be spent on ‘lördagsgodis’, meaning ‘Saturday sweets’. Located at 30-1020 Mainland Street in Yaletown, the Swedish candy shop offers over 100 varieties of candy, each imported from Sweden, free from GMOs, trans fats, and high-fructose corn syrup. Make Saturday sweets an everyday treat.